Tijuana BC: Ten months after the crisis of the Forensic Medical Service of Tijuana transcended the surrounding streets with smells of putrefaction, the internal problems continue to occur, despite the fact that 15 necropsies are performed daily in their facilities, since they have workers without benefits with low salaries, without adequate equipment, doctors without experience, nor specialized in legal medicine and a state coordination that has dismissed the problems of this body dependent on the Judicial Power of Baja California. In an exclusive interview with Uniradio a worker of these facilities who preferred to remain anonymous explained the improper way in which they have worked in recent years and that a year ago was noted when neighbors in the vicinity of its facilities denounced the unbearable aroma of human putrefaction that emanated from there when there began to register a notable increase in violent homicides in the city. He explained that although the State Coordinator of SEMEFO, Cesare Raúl González Vaca, has been urged to modify certain urgent procedures in Tijuana and has even been suggested a way to generate their own resources to address maintenance problems such as charging for embalming that 10 years ago were practiced in these facilities, has been categorically denied without giving further explanation, so that such processes are largely in the hands of funeral homes that even guard overseas to capture the mourners who collect the remains of their fallen relatives . Equipment without being replaced or maintenance for 10 years, refrigerator doors that break off, a necropsy table that has fallen, cooling problems that have left at least a day with about 30 bodies on the floor due to problems to place them, facilities extremely small, inadequate and with doctors who have contracts of 3 and 6 months to which they are sometimes renewed and others not, but which replace with general practitioners without experience and without the specialty in medina legal, despite the demands of the new Criminal Justice System that demands that 85% of the processes be based on expert evidence. The lack of importance that Gonzalez Vaca apparently has to the problems of the SEMEFO of Tijuana can be seen only in the way in which these organizations operate in each municipality, because in this city where on average there are 8 violent homicides and sometimes even more. of 12 only has 9 doctors of which 3 do 10-day guards to do each of them daily from 4 to 5 necropsies, while the rest attend other types of certifications, litigation, while in Mexicali there is the same number of physicians plus a histopathologist who attends the cases of tissue analysis that are required throughout the state, as well as six other doctors in Ensenada, and 4 in Rosarito and Tecate, respectively. The above is added to the disagreement of workers who have salaries of approximately 12 thousand pesos, which are not enough for maintenance work so the dissectionists also perform these functions, without often having the right equipment, putting their health at risk, but also lack of benefits, because they only have the doctor at ISSSTECALI that is offered only while their contracts are in force, but if they have an accident at work as happened to a doctor who fell at the same facilities, they are left without that protection once the contract comes to an end, while Dr. González Vaca has issued calls to hire forensic doctors from his home state, Michoacán, although in Tijuana there are professionals who meet the profile and needs to cover those plazas. 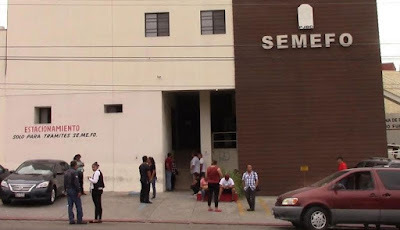 This has generated risk situations, since on several occasions the workers of SEMEFO de Tijuana have been on the verge of going to work stoppage due to the conditions in which they work, to which the apparent insensitivity of the Superior Court of Justice for the form in which it treats the doctors with more than 30 years of service, because its internal regulation establishes that when the 70th birthday is over they should not continue to provide their services and therefore the age is fulfilled, Mexicali personnel take them as a gift their discharge and a check of liquidation without retirement and not even the right to medical care of the ISSSTECALI. -What have been the failures that you have observed in the SEMEFO of Tijuana since this crisis arose? - I think it has to do a lot with the lack of attention given to the city of Tijuana with respect to this type of work and especially the number of corpses handled by the Forensic Medical Service, but at this point they are already insufficient the facilities, the administrative staff is insufficient, the medical team with an average of cadaveric handling of between 15 and 20 cadavers a day, when they are less than 15, it is rewarding for all and he does not think of adequate facilities planned for the future with growth, because they are very limited facilities, poorly designed, poorly equipped because that is what is lost, the average useful time of the material that exists there is one year two years and it must be renewed continuously, we have 10 years that nothing is renewed equipment. -I differ in thinking about making another SEMEFO for the security in the East Zone as the Florido because it is the most dangerous there is, second if you are going to do a Semefito with facilities for handling 20 or 30 each time, it definitely does not go to work, it has to be a well-developed project, well thought of by people who are experts in the area, architects and engineers who know about SEMEFO facilities so that they can make installations perfectly and avoid all the problems that have arisen such as bad odors runoff, designed to grow and not limited to a specific time. 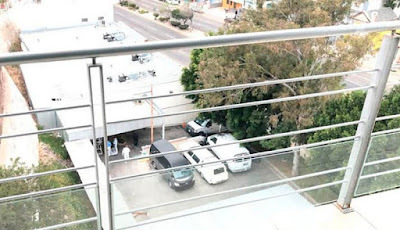 -How many doctors are there in Tijuana in the SEMEFO of Tijuana and the other municipalities? -In Tijuana the medical team consists of 9 doctors who are divided into three doctors per 10-day guard who do the necropsies and not necessarily thinking the others do nothing, but do other types of certifications, such as elaborations of the Istanbul Protocol, attend appointments to the courts and other activities that are carried out that we try to do the remaining 20 days of the month, but the guard is 10 days of necropsies performed by three doctors who on average make between 4 to 5 in daily, doctors that technically and scientifically do not meet all the requirements that must cover a necropsy, it is practically impossible to do with the detail that should be done. -Comparatively between Mexicali and Tijuana how many necropsies do they process? - Statistically right now we can break it down a little bit more, but Tijuana handles 70% of the work at the state level and Mexicali handles an average of 4 to 8 necropsies a day. In 2018 in the months of January, February, March and April, 257 necropsies were performed in Tijuana in Tijuana and in that same time in Mexicali they were 235, that's the difference, more than a thousand. -This SEMEFO crisis began to be noticed a year ago in the streets of its vicinity. What would be the immediate solution that we have taken to address this crisis that is reflected when families wait outside for up to 10 days trying to recover their bodies? -It consists first of all in the lack of attention to the problems of Tijuana in relation to the Forensic Medical Service by the competent authorities in the matter and I think that a solution that could be given is the expansion of the current SEMEFO facilities, I would think about expansion and adaptation of the facilities before thinking about building another in a distant and dangerous place, this has to go in relation to the increase of cold chambers, the conservation of the corpses and something important is that for many years the SEMEFO carried out the process of embalming the corpses and stopped doing, which would eliminate odors by 80% or more because the bodies would be prepared and would also be a source of income because the embalmed is charged and would be a source of income that could be used in the continuous improvements and maintenance of SEMEFO, but it was stopped because they were indications that were given of Mexicali, which has already been the proposal on several occasions that it resumed and there is a total refusal on the part of González Vaca to resume the practice of embalming that was done 8 or 10 years and do not give a valid argument, because there is no budget, you have to buy the pumps, there is no staff to do it; which has already been the proposal on several occasions that it was resumed. - How is the work relationship of Dr. Vaca with the staff of SEMEFO as workers what is your feeling? It is a total indifference to meet the demands that arise in the SEMEFO of Tijuana, I do not know with precision whether it is a political or personal situation, I do not know the merits of the matter, but the current system of hiring doctors as in many government agencies are for contracts that are valid for 3 and 6 months and if for some reason "x" the person charged to renew the contracts, does not automatically we are out. But we must also take into account that the hiring of doctors for the SEMEFO must be with doctors with experience and preferably with the specialty of legal medicine and this of the renewal of the contracts and the management of the medical personnel makes that they enter doctors who do not have Neither the necessary experience nor the preparation, much less the specialty in forensic medicine, that is why there are general doctors doing necropsies. But there are also people with a lot of experience, we must recognize that they also do not have a preponderant place as they should have for their years of work and are more attacked, the less loved, but can not directly because they do have a base from many years ago some of 30 and up to 45 years of service, there are four, but there is an article in the internal rules of the Court, where at the age of 70 the only benefit is the liquidation for years of work outside, without medical service, they are not pensioners, it is their liquidation and goodbye when they turn 70 years old and at least there are two doctors who must reach the age. -What is the problem of managing the policy in SEMEFO? The problem number one is in the direction, in the State Coordination, where there is a doctor who has 5 years of experience and he is from the state of Michoacán, of having locally people with a lot of experience and much more vision of what really happens in the state and in Tijuana especially; I think it would be one of the first factors for solving problems, even via internet we got to know that doctors from Michoacán were being invited to work in BC and we do not know why, because here there are perfectly trained people to be able to work as forensic doctors and they are not doing it because of political causes, antipathies and causes unrelated to this profession. Fortunately, the experience of several doctors working in the SEMEFO does guarantee the elaboration of a necropsy founded and founded, the problem is the demands that come together with the New Criminal Justice System, in fact they gave us a course that we are given with the In order to update the processes and with a view to a certification of the activities of SEMEFO and its requirements are very detailed, very precise, just for a general idea, a necropsy, fulfilling the requirements that it marks, should take approximately 4 to 5 hours the development of each one, nothing else is a matter of doing numbers and if we have 15 cadavers a day and 3 doctors, when each necropsy should take from 4 to 5 hours, we are not working as we should. - Have there been cases that are lost to criminal proceedings due to errors in the necropsies? In some cases, yes, but the most evident in doctors who are hired without experience or necessary preparation, now doctors are the specialty of legal medicine are only 4 or 5 in Tijuana, this is a direct responsibility of the Judiciary, the president of the Court and check if the state coordination is correct and I believe that it is not because he has been in the state for 5 years, I do not think it is the most propitious, because two or three months ago the state coordinator, González Vaca appointed the state director to Dr. Mercedes Quiroz and to have her as manager and coordinator of Tecate, Rosarito and Tijuana and the rest Mexicali and Ensenada have their own coordination. -What conditions are all the staff of SEMEFO working on, have they seen images, run-off from the facilities, how are they? -Work in conditions, especially of minimum protection, there is no adequate protection for workers with regard to the handling of the bodies and indeed, of necessity, due to the insufficiency of cold chambers several bodies have been deposited in the ground for a time At least two or three days have been 25 corpses on the ground. According to the federal Labor Law must be a high risk work for both dissectionists and doctors and this risk situation indicates that we must have a series of protections and care that we handle this type of work and obviously those who are responsible for do the cleaning and movement of corpses that are almost always the dissectors, there are not enough people for the work of cleaning and maintenance. - Is your health at risk? - Then they are workers without benefits? -They do not have the right to a pension, they are bad with stunted salaries, but they go around 10 or 12,000 pesos a month, the doctors are in 20,000, the medical service is in ISSSTECALI, at the end of 2016 , Dr. Gustavo Salazar Fernández, who is practically the founder of SEMEFO; of legal medicine in the state turned 70 years and unfairly and rudely dismissed from his work, receiving only his settlement and no other benefit, without medical service, no benefit, he completed 44 years of work in the SEMEFO. When the TSJ became aware of his 70 years while he lived in Mexicali , without seeing if they could take advantage of his experience. The ceremony and recognition were made in the SEMEFO for that reason he put his name into the classroom for the support of the doctors, in gratitude, but it was something internal. Those who have left are Dr. Salazar, Dr. Guillermo Uribe, Dr. Fragoso de Rosarito who by age 70 have already left, definitely all three have the capacity to continue working and due to their great experience they could occupy positions of coordinators and not be working as doctors of necropsies, they have a wide vision, enough experience and they could even be a team of instructors, preparers of future forensic doctors. I have seen their work in Chihuahua. A bar shot up with 12 people dead. In the morning just 7 hours later no yellow tape and no forensics people at the site. Just a piece of cardboard on the door and written in black marker that they will be closed temporarily. There is nothing set up anywhere in Mexico where they can do thorough forensics. It is really a smokescreen to make people feel the government knows what they are doing. Mexico sure "smells" like a 3rd world failed state to me. The medico-forensic situations described in the article strongly suggest that the legal reports from "any" autopsy must be of doubtful quality and likely "worthless" in proper legal proceedings. One has to wonder how "any" work necessary for legal or scientific purposes be expected out of Mexico? Perhaps, Mexico does NOT want legitimately scientific forensic medical examinations and reports done and reported because of the embarrassing political consequences? I suggest that some brave soul(s) with the proper credentials report the problems in the article to the UN and to appropriate scientific bodies in the world. And it will only get worst for mexico, not better. Your right it will get worse, there will be 6 refrigerated trailers, with dead bodies, roaming Tijuana, Rosarito.